The global economy has turned the rules of leadership upside down and shaken them vigorously for good measure. Where there was once a fairly defined hierarchy — Boss A tells Worker B what to do and Worker B does it — there’s now a flat landscape where everyone is expected to take the reins as needed. That means if Worker B has an idea — a way to make a process more efficient or a new way to get customer feedback — he or she is allowed, even expected, to make it happen. In other words, everyone is now a leader. This is great news for entrepreneurially-minded employees — but it does pose a challenge for an employee who wants to create change but doesn’t “officially” run the show. It can be more challenging for employee-led grassroots movements to spark change, but that doesn’t mean it can’t be done. While you may not have the long-term resource commitment your boss does, you can still be proactive — and successful — if you have a clear vision and a firm commitment. Being an advocate for change, regardless of where you fall in the organizational chart, can put you in the position of being a team leader — and someone who has great career potential. Align individual priorities with organizational goals. No matter where you work, chances are your organization has overarching change goals it is working to meet. Don’t just wait to be told what to do — look at those goals and figure out what you can do as an individual employee to support them. For instance, if your company just announced that it is acquiring another to strengthen its product line, one of your individual priorities might be to learn more about that company, its customers, and what it does. You could even ask your manager to present your ideas on how these findings will impact your team. When you make the link between what you do on a day-to-day basis and how that can support the overall change initiative, you’re showing dedication and demonstrating that you want to help. This understanding works well during any type of company-wide process or technological change, because you can begin to recommend better ways of doing what you already do. Learn to live with ambiguity. If you’re not running the show (and sometimes, even if you are! ), there will usually be uncertainty during change. For instance, perhaps leadership hasn’t answered all your questions because not all of the details have been worked out yet. Executives may also have legal reasons for not releasing information. The point is, sometimes it’s in your best interest to roll with the ambiguity. Of course you should raise your concerns and ideas if you have them, but then keep focused on the task at hand. However, if you feel that ambiguity is disturbing the workplace or if you see executives ignoring real concerns, let your manager know the downstream impact in a polite yet firm manner. 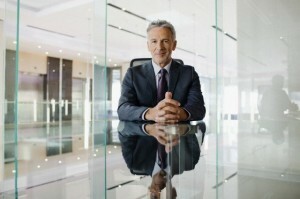 Understand your leadership style first. Even if your business card doesn’t have a powerful title, you are still a leader. And every leader has a particular style and specific strengths. It’s well worth your time to figure out what your style is, how it is seen by others, and how you can apply it to maximize your strengths. Most leadership assessments come down to four types of leaders: loud and proud; cheerful and optimistic; the strong, silent type; and data driven. You may also be a combination of them. In any case, knowing your own leadership style can help you effectively manage up the organization, coach employees and peers, and lead future change projects. Your knowledge will also help you to recognize different leadership styles and thus frame your own communication to meet the needs of others. Change what you can change: yourself. There is an old saying that too many cooks spoil the soup. Similarly, too many leaders during change can make everything confusing and fragmented. If you are not in a position to formally influence the change, instead of trying to create a leadership role, take the opportunity to change your own attitude, behaviors, and beliefs. You can do this by setting realistic goals for yourself and then eliciting feedback on them from peers, managers, and perhaps even customers. Remember that organizational change and personal change have strong similarities: You must clearly identify what you want to change, what the change looks like, and the specific steps and milestones for meeting them. Influence what you can’t change: others. Even if you aren’t the one running the show, you can still influence the direction of the change. And your position of being “one of them” could even give your opinions a boost with your fellow employees! A good way to build trust and respect with your colleagues is to give meaningful and timely feedback with the sole intent of increasing effectiveness and job satisfaction. Cultivating this atmosphere of openness among your peers will help you influence change, because knowing others’ motivations and interests will help you to explain how the change project will meet their needs. And don’t forget, another great way to influence change is to model the behavior you want to see in others. Become an early adopter and ally for change. Adapting early to change and being an ally for it is one of the simplest and most visible ways of leading change when you are not running the show. This entails wanting change to happen and working toward that goal as soon as you have a logical explanation for a particular alteration or modification. The nice thing about being an ally and early adopter is that you aren’t seen as someone who is just giving face time to the change; you are actually doing it and helping to spread enthusiasm among your team members. Create a community of peers. Many change projects have frontline staff or employee councils that serve as the eyes and ears of change. This group relays information, ideas, and concerns back to senior leaders so that the change plan can be adjusted as needed. If your organization has a change council, ask to be part of it. If it doesn’t, offer to help organize one. For change leaders, there is no replacement for direct feedback as to how communications, plans, and new projects are being perceived in the field. Help other employees cope with change. Even if you’re excited about change, not everyone will be. Some team members might find the going to be extremely tough; they might also feel confused, angry, or taken advantage of. You can help make the transition easier for them. First, be on the lookout for signals that someone needs help coping, like absenteeism, depressed or despondent behavior, or attacks on team members. You might want to intervene one-on-one, or help steer a bickering session into a change session. You can also help others cope through active listening. Try to act as a sounding board, and make it your goal to help the other person reduce emotionality and increase rational discussion. Encourage communication among your peers. Remember, the sum of the parts is always greater than individual contribution levels added together. On a regular basis, ask yourself how you can help build a better organization by diffusing confusion, expediting the flow of information, or reaching out to others. Communication between peers and up through management helps make your job easier in a number of ways. It uncovers what is valuable to the business and what is not, it minimizes the amount of time required to achieve goals, and it maximizes productivity. Believe in the change and speak up. This isn’t so much about self-help as it is making positive ideas a reality! As soon as change starts happening, start talking about how great it will be. And if change isn’t happening yet, talk about past accomplishments in order to capture the emotions, excitement, and energy your team needs to forge ahead. Whether you are the most junior employee in the company or the CEO, showing your enthusiasm for the project always helps. Change comes from the heart, not from corporate messaging. Remember that a sense of possibility for the future of the company is contagious! If you see a change that needs to happen and you don’t yet hold the keys to the corner office, don’t just sit back and be told what to do. Be proactive! When you show that you’re committed to making your organization succeed and you show that commitment in creative ways, don’t be surprised if you’re asked to be the one running the show sooner than you think. Coauthor of “Leading Business Change For Dummies” Christina Tangora Schlachter, PhD, is the founder and chief leader of She Leads and creator of the Leading Change Guide, which helps leaders reinvent themselves and their companies with a 12-week turnaround process. Coauthor of “Leading Business Change For Dummies” Terry Hildebrandt, MA, MA, PCC, is the founder and CEO of Terry Hildebrandt and Associates, LLC, an organization development company, and a professional certified coach.